← HOW TO SUCCEED …With Broadway Fun! But let us move on to the extensive musical catalogue of the period that is displayed here. By way of full disclosure at the outset, I make no pretensions of holding up rock as my favorite musical genre. That is probably why I first became aware of these talented performers when they starred in the many wonderful Broadway musicals presented year after year by Houston’s late, great Masquerade Theatre. Happily, the skills they honed there are most often central to the musical styles generally offered at The Music Box. In such cases, the really beautiful voices these players possess can be properly showcased without my concern as a critic that any vocal chords (or eardrums) might be damaged by harsh or strident delivery of overly loud numbers from performers who appear to be attacking their microphones. Of course there was plenty of that in the 1980’s, so here we are. 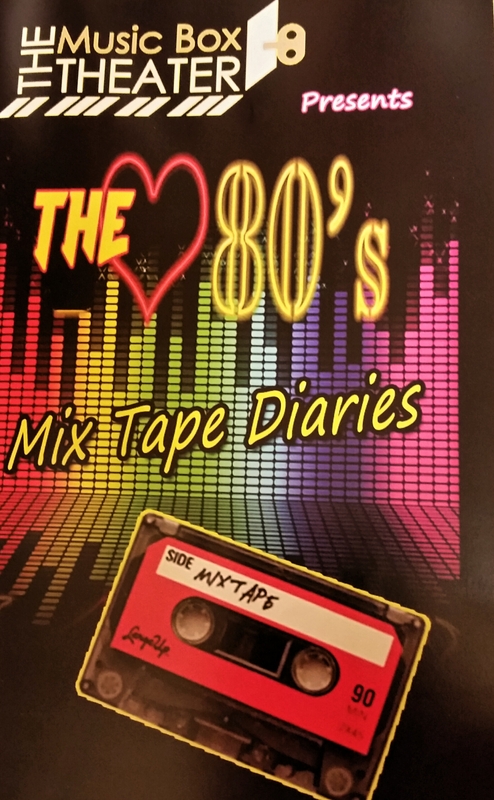 Pleasant highlights in this show include a duet of “Love Lifts Us Up,” from Luke and Kristina that has rich power, notwithstanding a bit too much desperation. There is a pleasantly soft focus from Taylor during an “Eternal Flame,” that has fine back-up from the gang. Luke offers a seductive, “I’m On Fire,” and that warm journey is nicely accompanied on banjo by lead guitarist, Mark McCain, just one of the talents in the house G-Sharp Band led by Music Director, Glenn Sharp. Kristina, walking stick for the blind in hand, stumbles amusingly around the dance floor with Luke during the irony of “Total Eclipse of the Heart.” Our bemused sympathy for her handicapped character grows when she shares that, “Each morning I stand before my mirror and ask my mother, ‘Mom, am I in front of the mirror?’” But the group soon cheers her while giving the band a rest during their delightful, “Don’t Worry, Be Happy.” It is superbly done in wonderful acapella style that shows off their fine voices while being reminiscent of the Mills Brothers. The 80’s classic, “We Are the World,” showcased more of the group’s talent as they took turns during that number singing short impressions of such artists as Cyndi Lauper, Lionel Richie, Bruce Springsteen, Michael Jackson, Stevie Wonder, Ray Charles, Diana Ross & Tina Turner. There were more treats following intermission, including a smooth, mellow duet of “Wicked Games” from Brad and Luke, with the gals supplying the captivating refrain. Rebekah offers a breezy rendition of, “Faith,” with fine harmonies from her cast mates, while her husband, Brad, has a real winner amid mysterious shadowy lighting and subtle guitar while he delivers a “Roxanne” so full of haunting beauty and warmth that even the extraneous ribbon dance going on behind him could not diminish its power. And speaking of power, Kristina soars as well during her solo of “Power of Love.” There is so much more, but during the well-crafted finale pairing Whitney Houston’s, “One Moment in Time,” and the “Purple Rain,” of Prince, I found myself thinking what amazing skill for musical arranging Mr. Sharp must possess. “Sharp” is just the word I was looking for! 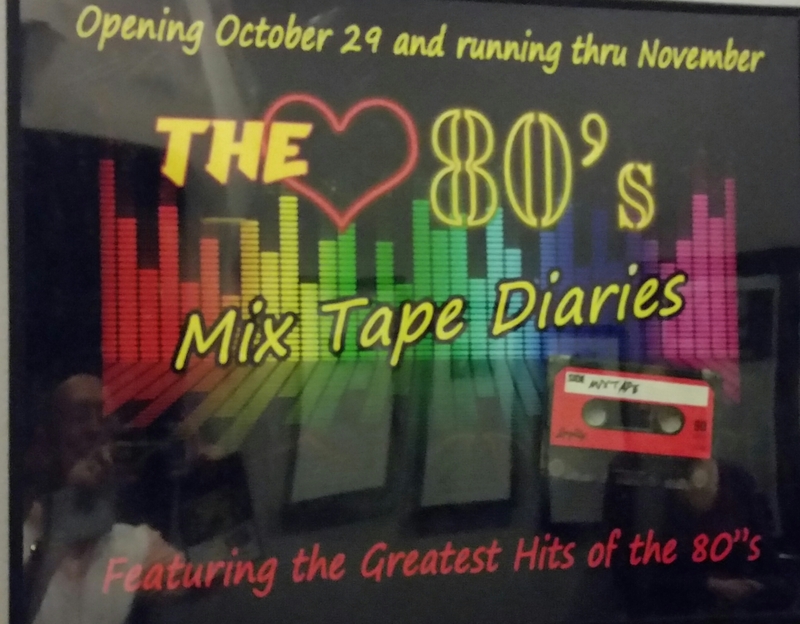 THE 80’s MIX TAPE DIARIES continues through November at the Music Box Theater, 2623 Colquitt, Houston, Texas, with 7:30 pm performances on Fridays & Saturdays, and a final performance at 2 pm Sunday November 27th. Reserved seating for all shows is $37 and General Admission is $27. For tickets and information call (713) 522-7722 or visit the website at www.themusicboxtheater.com. This entry was posted in BroadwayStars.com, Concert Reviews, HERE Lifestyle & Entertainment, Music Box Theater, MUSIC OF THE 1980'S, The Courier Columns, The Villager Columns, ThePeoplesCritic.com, YourHoustonNews.com and tagged BroadwayStars.com, Cabaret, concerts, Houston, Music Box Theater, nightclubs. Bookmark the permalink.